Aston Martin is going in. All in with an SUV. The DBX prototype it showed only weeks ago confirmed the company’s intention to build high-end luxury SUVs, now plastered with Aston Martin design cues, sophisticated overall looks, and technology to compete with novel entries such as the Lambo Urus and any of the Porsche Cayennes. The DBX prototype may not be fully revealed yet, but I have enough to go on to compare it with the DBX Concept that appeared in 2015. The SUV that will eventually reach the market in 2020 takes the conventional shape of a modern SUV but with a few curious touches that will make it somewhat special among a number of competitors. Interestingly enough, it did forgo all the cool touches we have seen on the DBX concept. It is a completely different beast. What do we know about the Aston Martin DBX Crossover? Joining the onslaught of super powerful and super luxurious SUVs of today, Aston Martin revealed the first photos of the new DBX. Although still under heavy camouflage, we can clearly see the contours of the first Aston Martin SUV. Furthermore, with a bit of research, I did find out quite a bit about the newest competitor among super SUVs. Nevertheless, it is still quite uncertain what segment the SUV will enter. Will it be like a hyped-up version of SUVs the size of the Alfa Romeo Stelvio Quadrifoglio, or will it match the audaciousness, and the size of the X5M, or the AMG GLE 63S? These are the unknowns we are still investigating. Despite its size, the Aston Martin DBX is going to join the exclusive club of unanticipated super SUVs like the Bentley Bentayga, the Porsche Cayenne, and even the Rolls Royce Cullinan. Granted, all of these SUVs tread a slightly different path but have some commonalities like being powerful, fast, and full of technology. 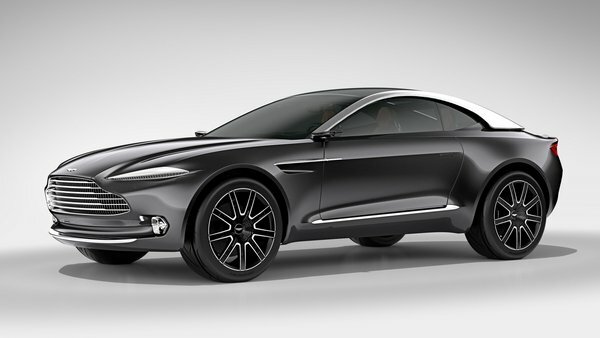 Aston Martin is developing the DBX SUV for no other reason than the booming SUV market in China. Company president and CEO Andy Palmer made that clear in a conversation with Wards Auto. According to Palmer, the DBX SUV may not even be on the table if not for the Chinese market. 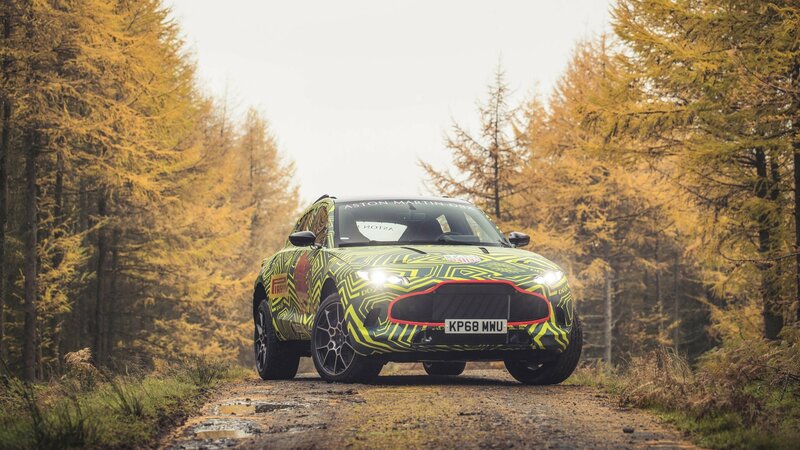 Aston Martin’s plan to launch the DBX crossover in 2019 took a major step to meeting its schedule after the British automaker confirmed that the design of the production version of the vehicle has been completed and given the green light by company executives. News of the development comes by way of Autocar, which quoted Aston Martin CEO, Andy Palmer, confirming the progress and admitting that the finished production design will adapt many of the important design elements found on the concept version that we first saw at the 2015 Geneva Motor Show. That said, Palmer also admitted that the production version will be a far departure from the concept’s overall styling, not the least of which is the confirmed fact that the production model will indeed feature four standard doors as opposed to the two-door setup of the concept. Essentially, the production version of the DBX will look a lot like the concept, and nothing like it all at the same time. In other words, it’ll just be like every other production model that came before it that traced its roots to a concept vehicle. Still, there’s enough reason to be excited about the DBX crossover, especially if it ends up being as groundbreaking of a crossover as Aston Martin is making it out to be. Like Bentley, Lamborghini, and Rolls-Royce, Aston Martin isn’t the kind of company you’d normally associate with having an SUV, at least if we were living in ordinary times. But as the King in the North Jon Snow said to the Free Folk, “we’re not living in ordinary times.” SUVs have become one of the biggest segments in the auto industry. Bentley already has the Bentayga out on the market. Lamborghini and Rolls are set to follow suit with the Urus and Cullinan, respectively. And so is Aston Martin and its upcoming DBX crossover, which is scheduled to hit protection in 2019. Details surrounding the DBX have been slow to arrive, but a new report from Wales Online has revealed a few interesting tidbits about the DBX. One in particular involves the crossover’s side mirrors, or the lack of them. Turns out, the DBX will make use of rear view cameras in place of traditional mirrors. This is a similar setup to how it was presented in the DBX Concept and applied to the Valkyrie hypercar. 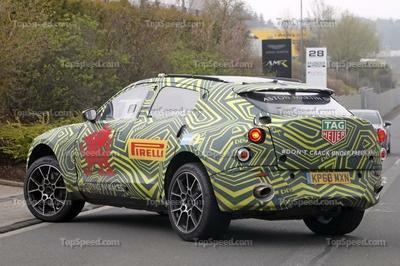 More importantly, it’s also looking like Aston Martin will proceed with giving the DBX a variety of engine options. Traditional combustion engines are expected to be at the forefront of the offerings, but the British automaker is also looking into adding a hybrid or plug-in hybrid variant, as well as an all-electric model. A timetable for both variants have yet to be announced, but if these plans come to fruition, the DBX could be crossing over into more than just one on-the-rise segment. The sad truth about current electric car technology is that really great electric cars are very expensive, and will continue to be for some time, barring some sort of miracle. Tesla is as successful a company as it is because it accepted this limitation and simply built luxury cars, at least to start with. 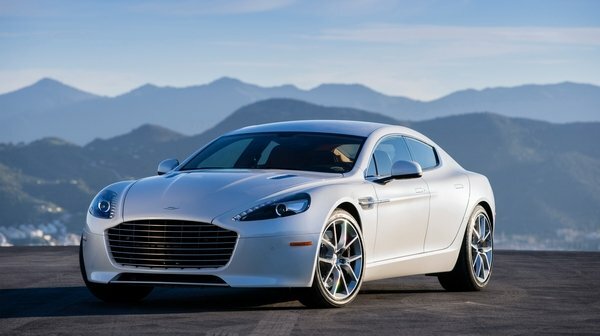 Other luxury brands are now starting to wonder whether they’re losing out on some of the market, and Aston Martin made the announcement at Pebble Beach that there would be an all-electric version of the 2014 – 2105 Aston Martin Rapide S starting production in 2017. This may look like an attempt to compete directly with the 2015 Tesla Model S, but the Rapide EV will cost about the same as the gasoline-powered version of the car, which starts at $205,000. So it will be noticeably pricier than the Tesla Model S, as it tops out at $142,000, with Aston saying that the Rapide could get up to $250,000 with various options. Aston won’t skimp on the performance either, and you can expect 800 horsepower being sent to all four wheels, as well as a 200-mile range. 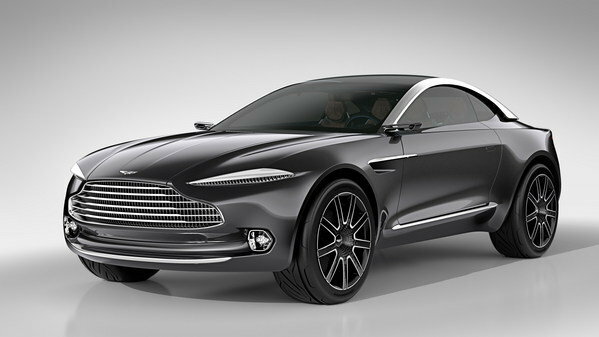 Aston will also follow this up with an electric version of the 2015 Aston Martin DBX crossover concept. Aston Martin is gearing up to manufacture its new DBX crossover, but before production can begin, the British automaker must first decide where it’ll be built. The most likely candidate will be in a new factory created in the southern U.S. state of Alabama. Aston is expected to finalize its decision by the end of the year. AM’s head honcho Andy Palmer said that a new factory in Alabama is the “obvious choice” in a recent interview with Automotive News Europe. The stateside location is under close examination, as it would give the marque easy access to one of its largest projected consumer markets for the new crossover: “Our principal customers will be in the United States and China,” Palmer said. While the Chinese market is also expected to gobble up more than its fair share of the new high-end vehicle, Palmer said it is difficult to export cars from China. Aston would also need to form a new joint venture with a Chinese automaker. Further incentive for the Alabama location would be proximity to Daimler’s manufacturing plant in Vance, Alabama, roughly 34 miles from Birmingham, although AM did recently refute speculation that the DBX would be built using the Mercedes GL platform. Daimler currently has a 5 percent stake in the company in exchange for a technology sharing agreement that sees the German multinational provide electrical architectures and V-8 engines for Aston’s next-gen sports cars. 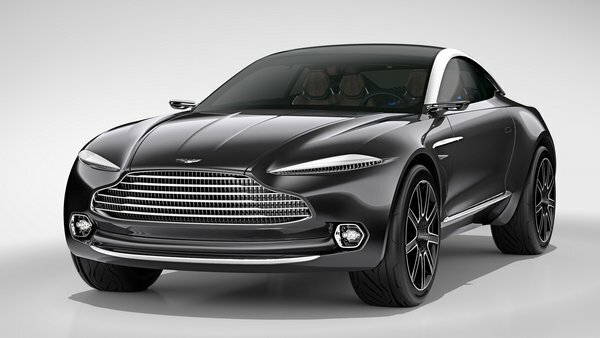 Aston Martin Plans To Open New Plant In Alabama For The DBX originally appeared on topspeed.com on Wednesday, 20 May 2015 13:00 EST. Aston Martin could build its first ever crossover on a new lifted sports car platform rather than adopting an existing platform from its industrial partner Daimler. Originally believed to use underpinnings from the Mercedes GLC, Aston’s upcoming DBX will instead likely use a new architecture currently in development for vehicles like the successor to the DB9 2+2 coupe. Aston’s next-generation in-house architecture, which will use copious amounts of aluminum for a reduced curb weight, is currently under consideration to give the DBX a sportier, more car-like feel: “It just depends how high off the ground it could go. I don’t exclude the possibility of using some [Mercedes] parts, but I would say very much the primary route is our platform,” Palmer said. Daimler AG, a multinational automotive corporation based in Stuttgart, currently owns a five percent stake in Aston Martin as part of a technology sharing agreement that includes V-8 engines and electronic architecture. 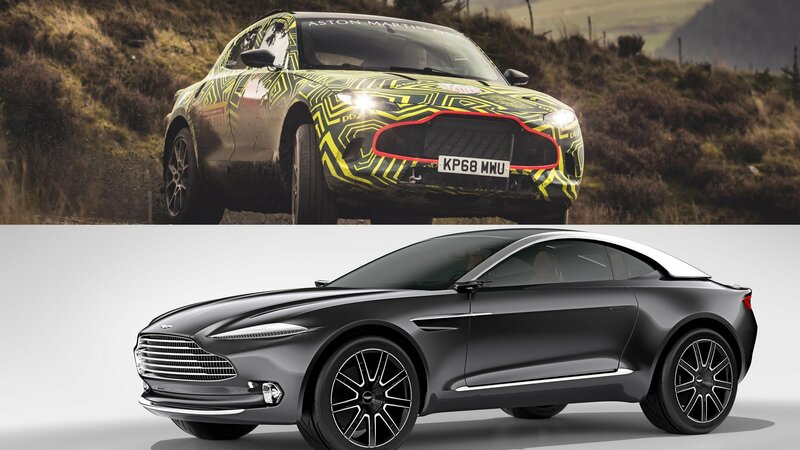 Aston Martin DBX Crossover Won’t Be Built On Mercedes’ platform originally appeared on topspeed.com on Tuesday, 19 May 2015 13:00 EST. Now that Aston Martin has committed to building its five-door crossover based on the 2015 DBX Concept, we’re starting to get a better idea about the new model’s business plan. From the sounds of it, instead of marketing to wannabe James Bond drivers, Aston Martin is hoping to attract Jane Bond. According to a report from Automotive News, Aston Martin’s target demographic for the crossover is “an affluent Californian in her late 30s” – fictionally named Charlotte. Aston Martin CEO Andy Palmer went on to say that the vehicle’s key attributes that will draw “Charlotte” include a tall high ride height, safety, flexibility and interior space. Aston Martin has not said when its crossover will be ready for customers, but it is planning a complete lineup overhaul over the next five years. The production version of the DBX will play a pivotal role, as Aston Martin looks to practically quadruple its sales volume from the current 4,000-ish units sold in 2014 to around 15,000 globally. Following an example set by Porsche and many other luxury automakers, the extra income brought in by sales of the crossover will allow Aston Martin to get even more creative when it comes its sports cars. Aston Martin Targets Women Buyers With New DBX Crossover originally appeared on topspeed.com on Thursday, 7 May 2015 18:00 EST. As one of the stars of this year’s Geneva Motor Show, there have been many rumors surrounding the 2015 Aston Martin DBX Concept, but the British automaker confirmed that it would, in fact, be building a production crossover based on the concept vehicle. The announcement was made as part of a press release stating that Aston Martin is planning to raise around $306 million by issuing shares. Aston Martin did not release any additional details about its impending “luxury GT crossover” including how much/if any of this new cash will be used to open or build a separate assembly line. It sounds like Aston Martin is looking into either building a facility in the Southern U.S. or acquiring an existing plant in England. In addition to the crossover, the money will also be used to add “extra model lines… by the end of the decade.” This matches up with a recent report that indicates Aston Martin intends a complete lineup overhaul within the next five years, including a DB9 successor that was recently spotted testing at the Nurburgring. Continue reading to learn more about the future Aston Martin DBX. Aston Martin Officially Confirms DBX Production originally appeared on topspeed.com on Monday, 4 May 2015 10:00 EST. 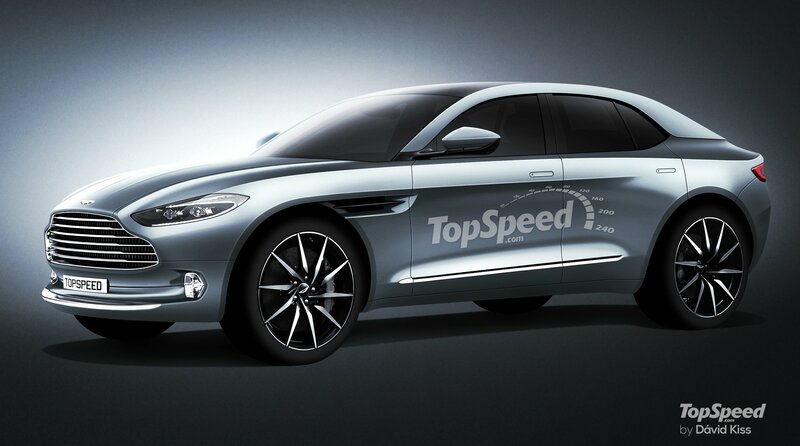 Aston Martin DBX Crossover Could Be Built In The U.S. originally appeared on topspeed.com on Thursday, 23 April 2015 12:00 EST.